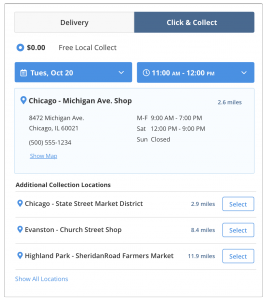 When we launched ShipperHQ in 2013, it was a huge leap forward in both functionality and flexibility toward conquering some of the most challenging shipping requirements that we hear from our merchants every day. As we continue to push forward with innovative capabilities within the ShipperHQ platform, we have kept the merchants needs at the heart of everything we do. 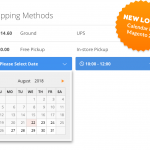 Now, we’re excited to be taking the biggest step since ShipperHQ launched with the introduction of our new Enhanced Checkout for Magento 2. 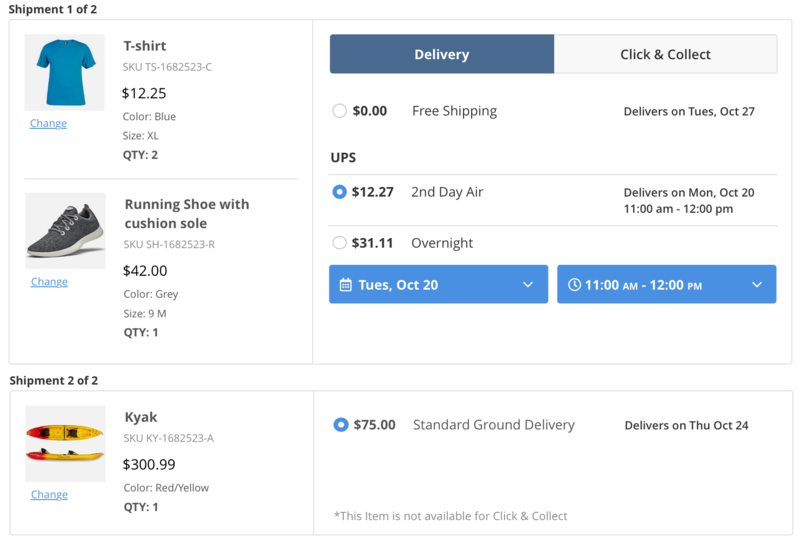 Offer shipping options that appeal to each customer’s individual preferences with our new Enhanced Checkout for Magento 2. Enhanced Checkout is a brand new customer experience driven by the ever-increasing demand for additional shipping information and delivery options that cater to individual customer preferences. We wanted to make it possible for retailers to differentiate themselves from ecommerce giants like Amazon without the need for hours of custom development or a massive new load on their servers. We also wanted to maintain the flexibility that’s been at the core of ShipperHQ from the beginning so that merchants can tailor the customer experience to their unique needs. Offer Click & Collect for customers looking for an alternative delivery option. To achieve this goal in our Enhanced Checkout, we’ve employed cutting edge technologies including React JS components and GraphQL APIs to make our merchants’ checkouts more flexible and responsive without added server load. Beyond making it easier for merchants to enable these advanced ShipperHQ features, we’ve also invested time and effort in improving the way our options look and work out of the box. 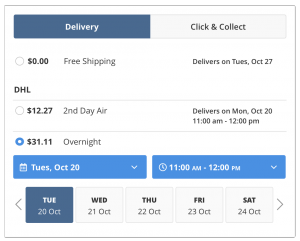 As with any element of checkout, the goal is to make shipping as seamless and intuitive as possible for the customer. However, in shipping it’s equally important to make sure complexities are taken care of in the background so that any option shown only applies to the given order, products, destination, or specific customer. Our Enhanced Checkout is now available on Magento 2 and Deity. We will be launching it across BigCommerce and Shopify as early as Q1 2019. For a demo and more information, contact us directly at sales@shipperhq.com.